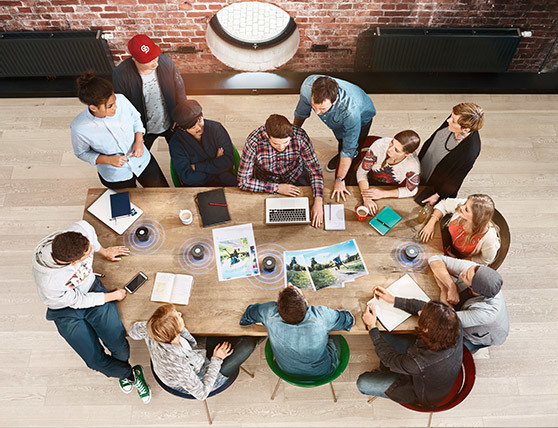 The TeamConnect Family product group as part of the Sennheiser for Business Portfolio comprising high-quality, technically well-conceived meeting solutions for business communication – designed for any meeting room and any meeting situation. 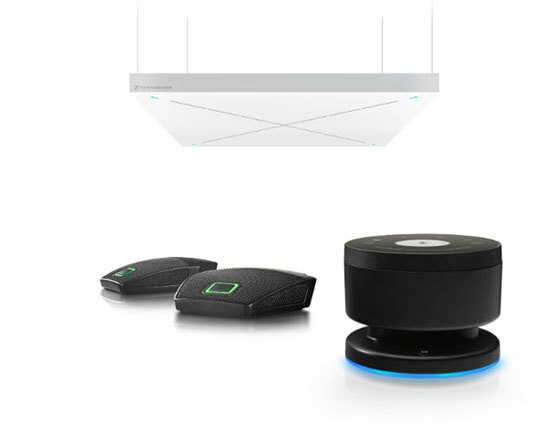 The products of the TeamConnect Family include the conventional TeamConnect conference system, the portable TeamConnect Wireless product solution and TeamConnect Ceiling, the conference system with a ceiling microphone and automatic beamforming technology. You can integrate all three solutions into all kinds of existing infrastructures. Organizers can quickly and easily set up conferences with a smartphone, notebook or tablet. Thanks to the unified communications standard, participants can use plug-and-play to connect to ongoing conferences. Conference participants can dial in with any device, whether it’s a smartphone, tablet or notebook. The TeamConnect Family products allow cross-platform collaboration and are compatible with Skype for Business, OpenScape, GoToMeeting, IBM, Cisco, Avaya and much more. 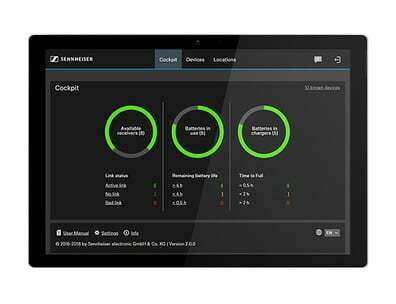 In the TeamConnect Family, the latest technology meets proven Sennheiser quality. This product range brings together cutting-edge technology with sophisticated, user-friendly features, 70 years of experience and customer requirements. TeamConnect Wireless and TeamConnect Ceiling both received last year’s Best of Show Award at the Integrated Systems Europe (ISE) 2016 trade fair. 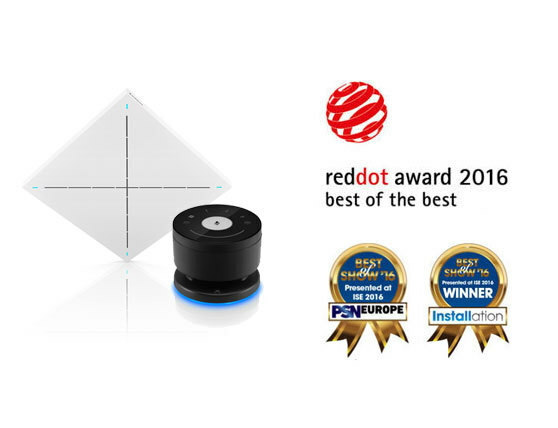 TeamConnect Wireless also won the Red Dot Award 2016 in the international design competition held for the categories of product and communication design each year. The TeamConnect Family products are tailored to the individual requirements of the modern meeting culture and various conference scenarios. Try out this versatile range of products for yourself, and find the right solution for your needs. Den første trådløse bærbare konferenceløsning, som giver dig mulighed at afholde en konference professionel lydkvalitet fra et hvilket som helst rum uden teknisk udstyr. 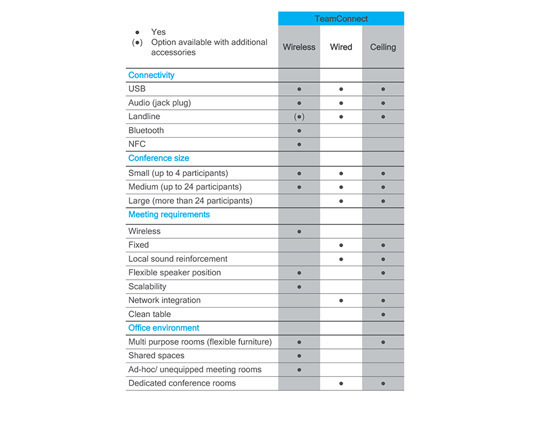 This conference system uses a ceiling microphone installation with beamforming technology to combine the advantages of wireless and wired solutions with minimal support requirements in any meeting room. Løft dine møder op på et højere niveau med TeamConnect Ceiling 2. Uanset om det handler om konferencer, projektarbejde eller præsentationer: Den forbedrede version af den populære loftsmikrofon TeamConnect Ceiling gør møder med fjerndeltagere til en enestående oplevelse. Are you interested in learning more about how the TeamConnect family can bring your meetings onto the next level? Fill out the form and you will be contacted by a Sennheiser representative soon.